Try this grilled pineapple with mascarpone cream the next time you have a barbecue. It finishes off the meal perfectly. Of all the different kinds of fruit you can cook, grilled pineapple is a winner. It goes all hot and juicy. Pineapple is already delicious, but pair it with heat and flavours like honey and lemon, and your pineapple experience is super-elevated! 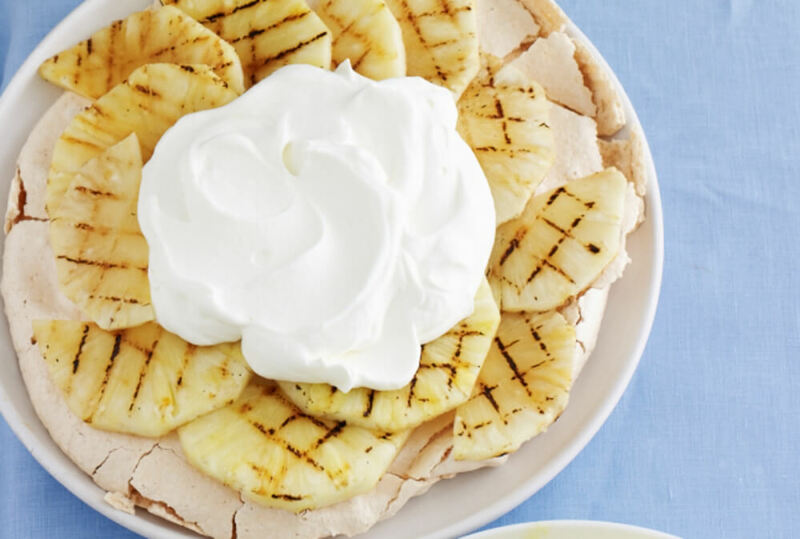 Grilled pineapple with mascarpone cream is just one idea for this fruit. It's also amazing served with waffles or pancakes. Try it with a dollop of good quality vanilla ice cream. If you want a savoury use, try it with swordfish or pork chops. If you want to make dairy-free grilled pineapple, then just marinate the pineapple in the lemon juice and honey for half an hour before grilling, and forget the mascarpone. The toasted hazelnuts add a delicious crunch to this dish, for some contrast. 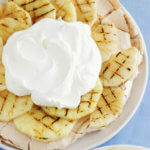 This grilled pineapple with mascarpone cream makes a great dessert after any kind of main dish. If you already have the barbecue on, then make these. If not, you can broil them (depending on where you're from, you might say 'cook under the grill'). Preheat the barbecue for a medium heat. Lightly grease the cooking grate. Put the nuts in a pan over a medium heat. Shake them for 3 minutes or until fragrant and golden. Take them off the heat. Combine the lemon zest and juice, honey and mascarpone. Now barbecue the pineapple slices for 3 minutes per side or until lightly charred. Put 2 slices of pineapple on each plate, adding the mascarpone sauce and hazelnuts.